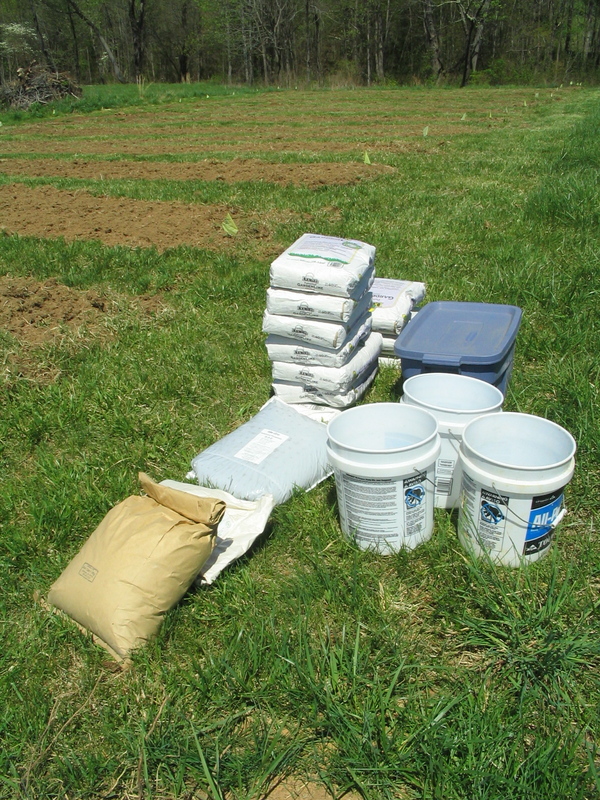 I drove up to Countryside Natural Products in Fishersville and loaded the Jeep up with 1000 pounds of soil amendments and potting mix. We spent Sunday afternoon broadcasting it onto the beds: pelleted and pulverized limestone, rock phosphate, and greensand. We have a truckload of compost coming Friday which we will apply to the beds before the final tillage. It’s quite a lot of work toting around those 40 and 50 pound bags. We will be glad when we are able to get a tractor-mounted spreader someday, which will make the application much easier and more uniform. 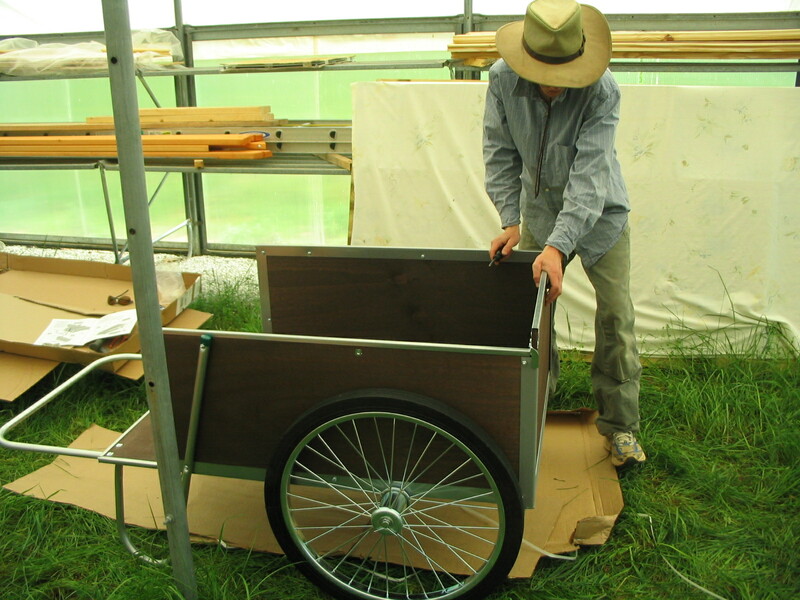 Gavin also constructed the garden cart, which we used later that day to haul the amendments around on. A necessary tool for the garden! This weekend we will start moving into the yurt! There are still many projects to do before it is complete, but we need to get there so we can start growing!